What if someone dressed that bug of light up as a feature? Instead of ruining good photos, researchers at the University of California-San Diego and the University of Wisconsin-Madison have found out what different frequencies of flicker will do to a photograph. They have also experimented with cycling through red, green, and blue to give the effect of a poorly dubbed VHS. There are ways an intelligent photographer could get around the photo-ruining effect with any smartphone. Meanwhile DSLR cameras are already immune and it won’t work in sunlight, so we are not talking about high security image protection. 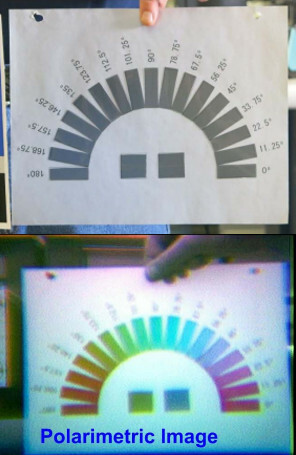 The neat thing is that this should be easy to replicate with some RGB strips and a controller. This exploits the row scanning of new cameras, so some older cameras are immune. The era of the vintage television was a great one, and one of the transitional by-products was the Sony Watchman. It was a portable TV which Sony started selling in 1982, and the amazing thing about it was that it had an actual 4-inch cathode ray tube or CRT. [Sideburn] just posted a video in which he hijacks the internals of a Watchman to make it into a portable game of Pong. The hack begins with removing the TV tuner module inside to make some room for the new residents. Next comes the M51364P which is VIF video decoder chip, and for which surprisingly there is not a lot of info on the web. They were able to find a part of the schematic, which though it was in Russian may still be useful for enthusiasts. Removing the VIF revealed the audio and video pins that needed the appropriate signals for the hack to be successful. In an age of multilayer boards it is amazing how a two-layer PCB makes life so easier for the tinkerer. For the new brains an Arduino Nano clone was selected, and instead of adding modern buttons the existing volume and band select switches were convinced to be the paddle control and play/pause button. Getting everything to fit was easy with the absence of the tuner module, and voila! New(ish) hardware. For the firmware, [Sideburn] turns to Hackvision firmware which has a host of games such as Space Invaders, Asteroids, and even Tetris. We covered Hackvision a few years ago as a hardware/firmware bundle, and if you are more into CRTs then check out the Arduino driven 6845 CRT controller. In a few hours, millions of fresh-faced children will be tearing open presents like the Leap TV, a Wii for the pre-school crowd that has a number of educational games. And, once they get bored with them, what could be more educational than fighting your way through a horde of demons to save the earth? Yup, [mick] has hacked the Leap TV console to play Doom. After some poking around he discovered that the Leap TV is built around a quad-core nxp4330q arm7-A processor, with 1GB of RAM and 16GB of flash memory, while the controller links to the main console using Bluetooth LE. That’s more than enough to run Doom on (in fact… too much), so he whipped out his handy compiler and got Doom and SDL running with only a few minor code changes. This isn’t [Mick]s first such hack: he previously hacked the V-Tech InnoTab, a cheap tablet for kids, which persuaded the manufacturers to release the full source code for the tablet. Will Leapfrog follow suit? That remains to be seen, but in the meantime, [Mick]s work gives us some insight into the internals of this device.